A custom-engineered protein destroyed the deadly virus in the lab; could become a sweeping anti-viral in medicine and farming. 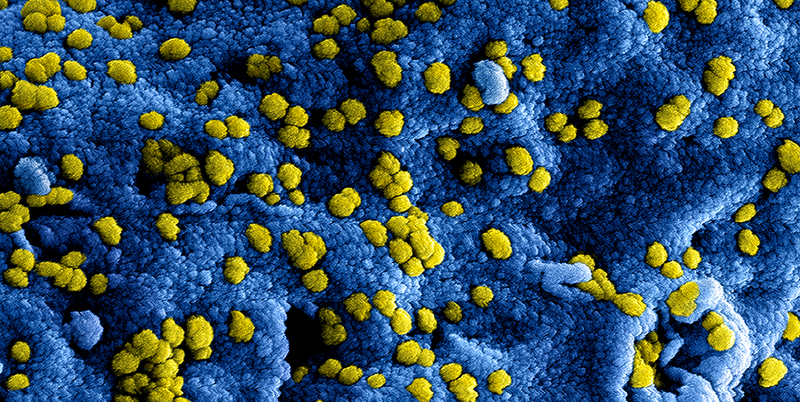 MERS is similar to SARS, the virus that killed almost 800 people in a 2002 global epidemic. Both kill upwards of a third of people infected and, like many viruses, emerged from animals—bats and camels in the case of MERS—after mutating into a form capable of infecting human cells. Although MERS has so far been detected in 27 countries since the first case emerged in 2012, the outbreak has largely been contained within Saudi Arabia, according to the WHO. 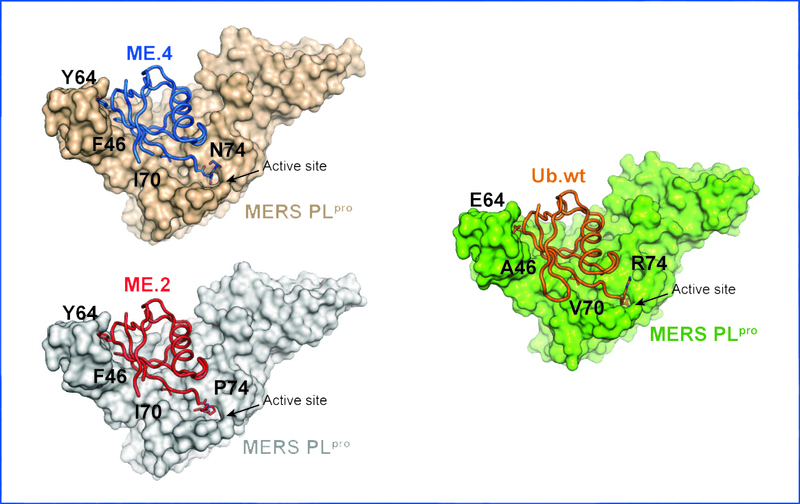 Engineered ubiquitins (blue and red squiggles on the left) are similar to normal ubiquitin (orange squiggle on the right) but they can paralyze the V-shaped MERS enzyme by binding to it more tightly (Wei Zhang) “Viruses have evolved proteins that allow them to hijack host proteins. We can now devise strategies to prevent this from happening,” says Zhang.